If you’ve been spending your time in Colorado this summer, you know that we’ve been experiencing some extreme weather conditions. Mainly sweltering heat followed by a day or two of constant downpour. Although some people enjoy this kind of weather (which you should!) it can still be a serious health risk if you aren’t prepared. 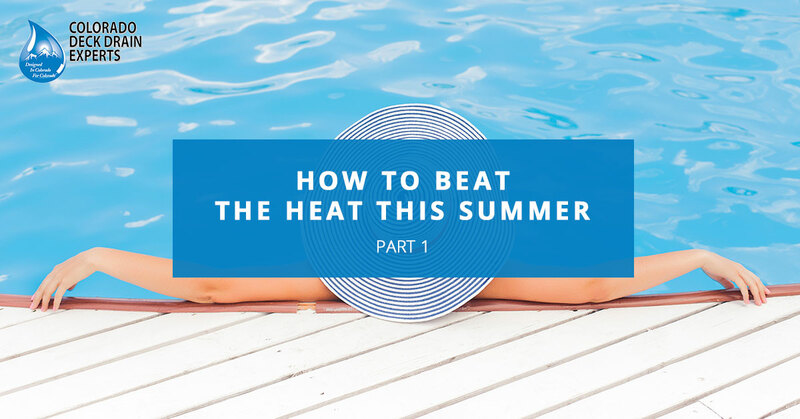 In this blog, we’re going to take a look at some of the best ways to beat the heat this summer without driving to Canada! If you’d like to learn about our deck drain systems here at Colorado Deck Drain Experts, don’t hesitate to give us a call today. 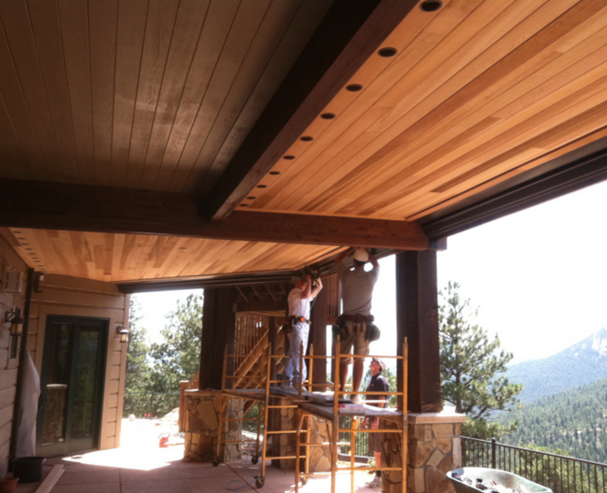 If you’re like most Colorado homeowners, you probably want to spend as much time as possible out on your deck this summer rather than lounging around in an air-conditioned home. Okay, being in a home with AC this time of year is pretty great, but we put so much work and money into our decks, it’s only natural that we spend time on them. Besides, our decks are a great place to enjoy the company of others and enjoy some fresh air. However, being out on your deck, you’ll experience the worst of this summer’s soaring temperatures, so you’re going to need to find a way to keep cool. 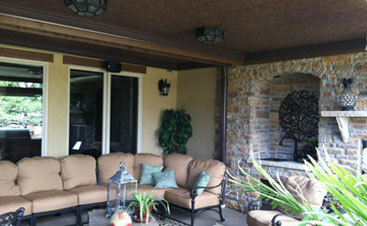 One great way to do this is by installing an awning or some umbrellas on your deck. 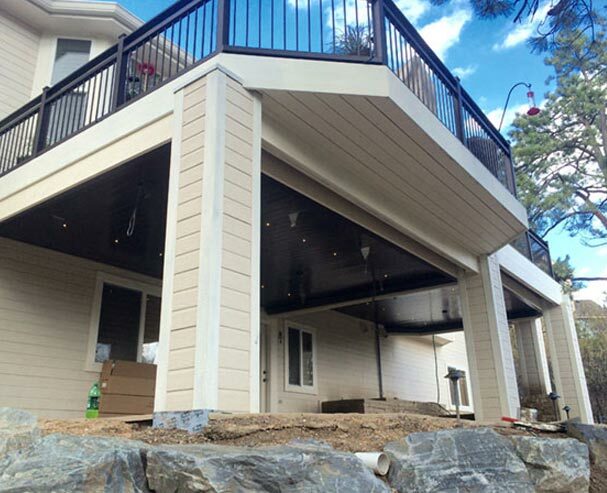 One option would be to install an awning on the house that can be rolled up or pulled out depending on the season or more of a pergola style awning that just sits on your deck and provides shade. 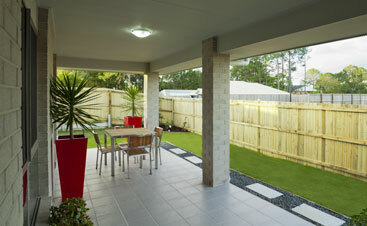 If insects are particularly prominent in your area, try installing a gazebo with an insect net. That way you’ll get a two in one: you’ll be protected from the heat and the insects. 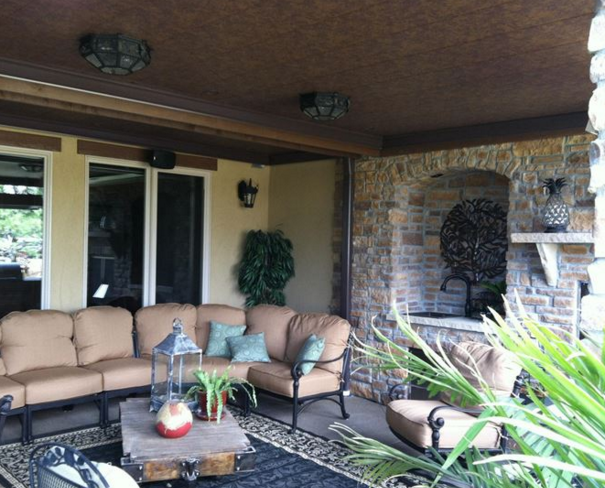 Beating the heat this summer isn’t all about creating more shade. Making some ice cold drinks can also help you beat it by cooling you from the inside out! Fruity drinks like dacquires, smoothies, or fruit juice make great summer beverages. Most importantly, you’ll want to stay hydrated though. Although alcoholic beverages like beer or cocktails will cool you down for a while, if you start to become dehydrated, that effect will be lost and you’ll probably start getting a shooting headache. If you are drinking alcohol out in the heat this summer, make sure to add in a drink of water after every drink of alcohol. And of course, always know your limits. Trust us, you’ll be glad you did! Remember that when you lose water due to dehydration, your body temperature will rise. Drinks that contain caffeine, sugar, and alcohol will all contribute to the dehydration in addition to salty foods like chips. There’s a reason we eat fresh fruits and vegetables like watermelon or celery when it’s hot, because they’re largely made up of water and don’t contribute to dehydration. Although eating fatty hamburgers or hot dogs in the summer sounds like a lot of fun, they’re much harder for our bodies to digest. If you’re drinking alcohol on top of this, you’ll need to drink a lot of water to make up for it. 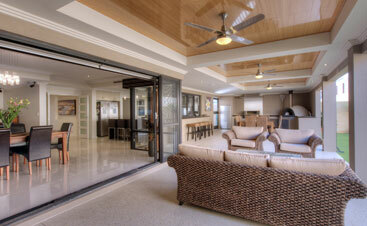 If you’re lucky enough to have an elevated deck, you need to take advantage of the lower deck area on hot summer days. Like a gazebo, your lower deck will provide plenty of nice shade for you to enjoy all year round Often times, people will use these areas for storage, either to leave their leftover yard equipment or deck equipment in or simply as an overflow for their garage. However, this area could be put to much better use as an area where people can seek shade during hot days. The one problem that homeowners face when using this area is that it often gets wet due to poor drainage. That makes this area nearly unusable for anything like storage or to be enjoyed during the summer. At Colorado Deck Drain Experts, we offer ample options for you and your family to regain the usefulness of that under deck area with our Dry-B-Lo Deck Drain Systems. Our revolutionary designer deck drain systems allow you to make use of this area all year long by keeping it dry and safe. We are your Top Rated Local® Deck Drain Experts meaning we always provide you with the highest quality services and materials no matter what. If you’d like to view a gallery of some of our work, you can view it here. However, if you’re ready for a free consultation, don’t hesitate to give us a call.